International Tiger Day, also referred to as Global Tiger Day, is an annual observance aimed at raising awareness of the importance of tiger conservation. It was established in 2010 at the International Tiger Forum that took place in the city of Saint Petersburg, Russia. The International Tiger Forum was the world's first “tiger summit” organized by Prime Minister of Russia Vladimir Putin and President of the World Bank Robert Zoellick. 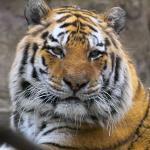 At the summit, the Global Tiger Recovery Program was adopted. The anniversary of its adoption was declared International Tiger Day. This ecological observance focuses on promoting protection of the natural habitats of tigers and raising public awareness of tiger conservation issues. Tiger is the largest cat species on Earth. Tigers once were widely spread, but now tiger is an endangered species. Over the past century, tigers have lost more than 90% of their historic range. At the start of the 20th century, the global population of tigers in the wild was estimated at 100,000 individuals, while as few as 3,200 exist in the wild today. Tiger conservation is one of the main objectives of international animal conservation organizations. Countries join efforts to protect tigers in India, Nepal, Bhutan, Bangladesh, Cambodia, China, Laos, Myanmar, Thailand, Vietnam, Malaysia and Russia.